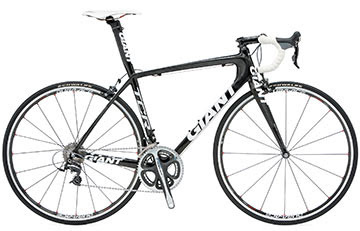 Century Cycles Blog: Giant wins today's stage at the Tour Down Under! Today in the third leg of the Tour Down Under, Rabobank’s Graeme Brown out-sprinted a field of more than 40 riders in the final charge to the finish of a wild and windy stage in Adelaide, Australia. Riding the Giant TCR Advanced SL Team Bicycle, Brown survived fierce winds and a powerful breakaway—including 7-time Tour de France champion Lance Armstrong—to claim the victory and keep second place on the podium, with the same time as leader Allan Davis of Quick Step.